N. Katherine Hayles is known for breaking new ground at the intersection of the sciences and the humanities. In Unthought, she once again bridges disciplines by revealing how we think without thinking—how we use cognitive processes that are inaccessible to consciousness yet necessary for it to function. Marshalling fresh insights from neuroscience, cognitive science, cognitive biology, and literature, Hayles expands our understanding of cognition and demonstrates that it involves more than consciousness alone. Cognition, as Hayles defines it, is applicable not only to nonconscious processes in humans but to all forms of life, including unicellular organisms and plants. Startlingly, she also shows that cognition operates in the sophisticated information-processing abilities of technical systems: when humans and cognitive technical systems interact, they form “cognitive assemblages”—as found in urban traffic control, drones, and the trading algorithms of finance capital, for instance—and these assemblages are transforming life on earth. The result is what Hayles calls a “planetary cognitive ecology,” which includes both human and technical actors and which poses urgent questions to humanists and social scientists alike. 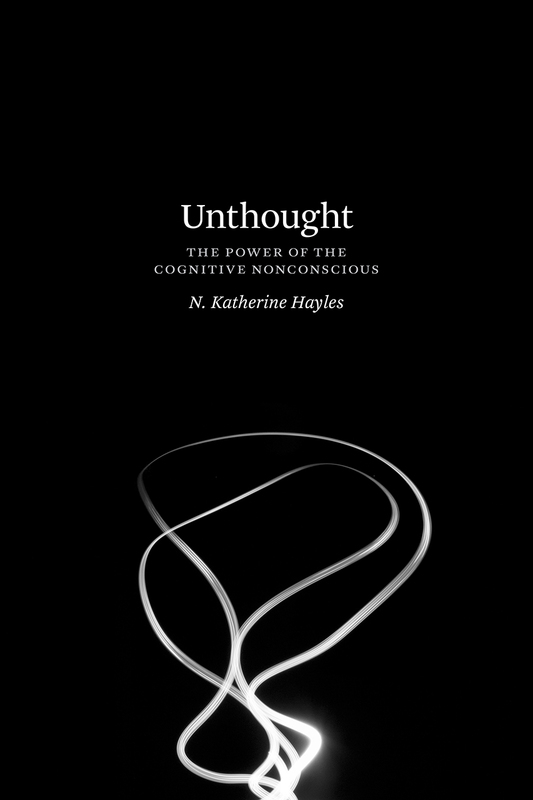 At a time when scientific and technological advances are bringing far-reaching aspects of cognition into the public eye, Unthought reflects deeply on our contemporary situation and moves us toward a more sustainable and flourishing environment for all beings. "The book compellingly suggests that many domains of science and society can be better understood—and more effectively engaged—by attending to the distributed systems of cognition that are already right there but not yet fully in the line of sight...But more than just filling in what has been omitted, Hayles proposes a reorientation or re-cognition, a revitalized outlook on what has so far been unthought in these fields...As Hayles demonstrates in her vivid technical discussions and bold theoretical formulations, the conditions for this radically altered way of understanding are already here."